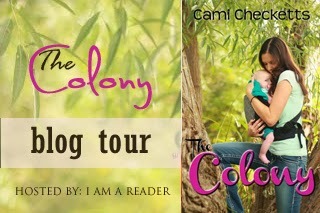 The Book Diva's Reads is pleased to participate in this blog tour organized by Kathy at I Am A Reader and host a visit by Cami Checketts, author of The Colony. 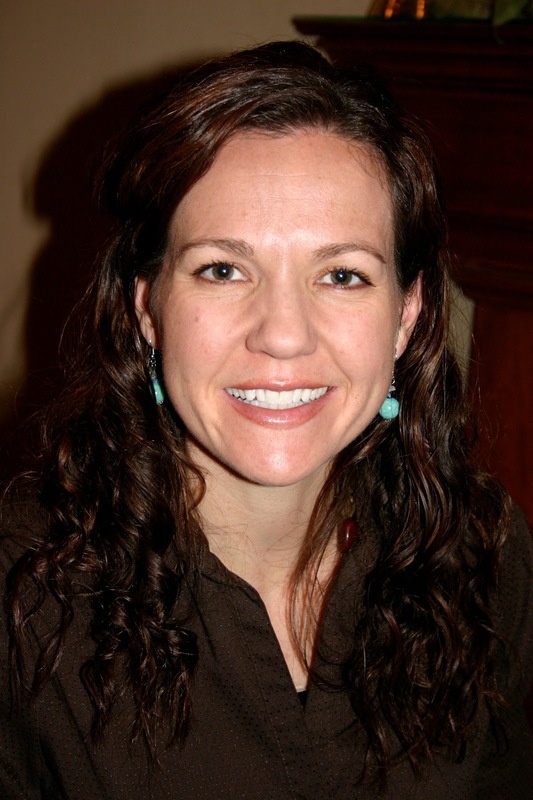 Ms. Checketts will be talking about an all-too important topic, "Helping Children Love to Read." My oldest son is addicted to reading. I started reading to him in the womb and he's never stopped. I used to start a book with him and then he'd just take off. My second son - different story, until he was ten I read every book (except for his homework) aloud to him, but then something sparked and he is now an avid reader. My third son - struggles. I know it'll click soon, but right now he's in special programs at school and at the bottom of the curve. My fourth son loves listening to stories, but would rather play the iPad if given the choice. We all know how important reading is, but how can we force (I mean encourage) our children to see the value. As those of you who have more than one child know, what worked with one will completely flop with another, so I try a lot of different techniques and sometimes one of them is effective. Read Aloud - Start reading aloud when they're infants and don't quit, unless they’re running away from you with fingers in their ears screaming, stop the madness. When they're teenagers and no longer want you reading to them, maybe you could read the same novels and discuss them. Make the library and bookstore special treats. My younger boys love to ride our bikes to the library, the older boys prefer choosing an ebook to download to their iPod. They all know every holiday they’ll receive a book as a present. Have books everywhere. The only room in our house that isn't loaded with books is the kitchen and that's only because we try not to ruin our books and because we need to actually talk to our oldest once in a while without his eyes glued to a book. Read age-appropriate books. I think this is one of the mistakes I made with my second son. My oldest and I were having so much fun with chapter books that I would read my second son's books quickly and then settle down to read for hours with my oldest. My second guy would usually stay with us during story time, but I'm not sure he got much out of it. If you can, try to set aside a time to read to each child on their level. It's also okay to read a bit above their level, but plan on explaining words or situations they don't understand. When we read The Count of Monte Cristo by Alexandre Dumas it took us months, but my son still enjoyed it. We also enjoy reading below their level sometimes. Every one of my boys still laughs at Junie B. Jones, even if they won’t admit it. Read what they want (most of the time) - I try to let my boys pick out their own books, but I also pick out one I want to read to them. They have to give my book forty pages. If they hate it, we quit. And sometimes I have to grit my teeth through their books (have you read Captain Underpants? ), but that's part of being a mom. I am definitely not an expert on this subject, but with four boys I keep trying different things. Reading is such an essential part of development and success in school and beyond, I hope each of us can find the best way to instill a love of reading in each of our children. Please share what works for you and your family. Cami Checketts is married and the proud mother of four future WWF champions. Sometimes between being a human horse, cleaning up magic potions, and reading Berenstain Bears, she gets the chance to write fiction. Cami graduated from Utah State University with a degree in Exercise Science. Cami teaches strength training classes at her local rec and shares healthy living tips on her fitness blog.